On a clear afternoon on September 11, 2001, the internet café in Florence, Italy bustled with tourists, students, and animated baristas shuffling plates of pastries and demitasse cups of steaming expresso. I paid for an hour of computer time to write and email a travel update to family and friends back in the States. Around 3:00 pm, I finished a long letter and pushed “Send.” Nothing happened. I groaned about a perceived computer error and continued to hit the “Send” button. Suddenly, all the screens in the café went dark. That’s when we knew the problem was serious. The time in New York was 9:00 am. I rushed back to my hotel room, turned on CNN news, and watched in horror as the South Tower of the World Trade Center in New York City collapsed in a nightmare of smoke and debris. Then the second tower fell, and images flashed of the Pentagon on fire. I was almost 6,000 miles from home in Idaho, I couldn’t make a telephone call to my family, and all flights were cancelled. I gasped for breath. Hungry for information, I hurried to the lobby and joined other Americans from our tour group. We huddled around television sets, alternately hugging, wiping tears, and praying. The hotel staff opened the bar and offered free food and drinks. Our group quickly expanded to include people from several nationalities, and near twilight a spontaneous chorus erupted with all of us signing “God Bless America” and the National Anthem. The Italians proved to be our new best friends. We still didn’t know the extent of the attacks or if any more airplanes had been intentionally crashed. The telephone lines remained down for another day, but the Internet returned on September 12. The hotel offered free access, and we lined up for our five-minute turn on the antiquated computer. I sent a bulk email and quickly read touching emails from my children, both in their early 20s. The Atlantic Ocean became an insurmountable obstacle for an unknown time. 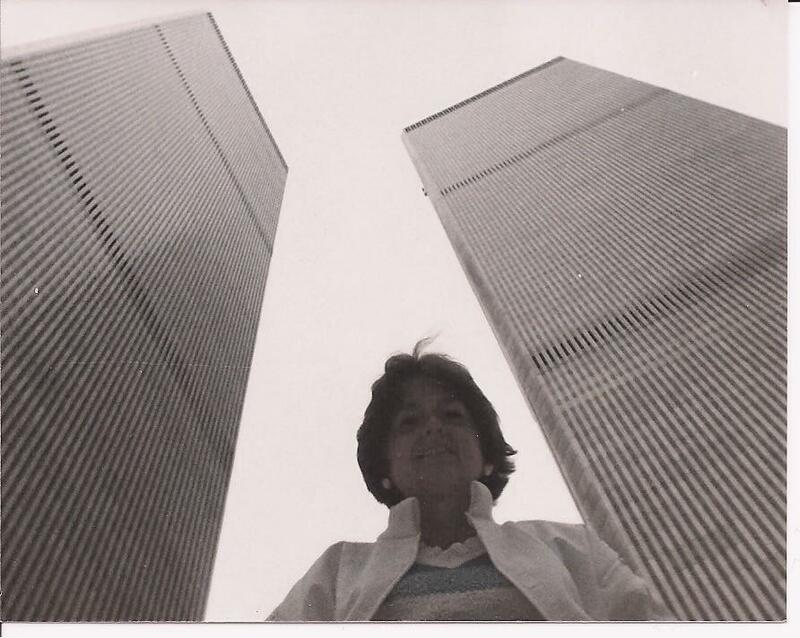 I remembered standing for a photo between the Twin Towers and couldn’t imagine the enormous level of destruction and evilness. 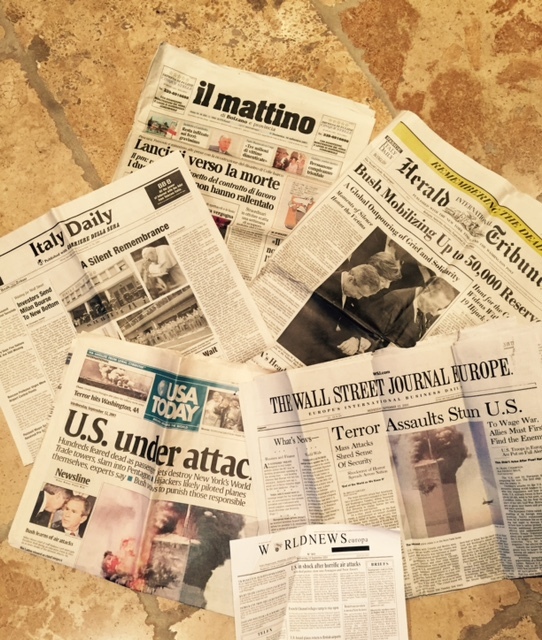 I devoured every newspaper I could find and still have copies of Il Mattino, The Wall Street Journal Europe, USA Today Italia, The Herald International Tribune, and other publications from that time. Most of the Europeans we met were supportive of Americans and mad about the terrorists. As more details emerged about the evil murderers, the moods of the Americans in our group changed from sorrow, disbelief, and fear, to anger and patriotism. The breathtaking beauty and splendor of Tuscany was momentarily clouded by our emotional pain. A few days later, we learned we couldn’t fly home until September 22, so we continued on our journey. For a stranded tour group, Italy was the place to be. The food tasted better, the wine flowed freely, and we became best friends. None of us personally knew any of the victims, but we shared a strong American heritage. Going through the airport security in Venice became a stressful ordeal. We were thoroughly searched and patted, everything was removed and repacked in our luggage, and we stood in lines for hours. Finally we boarded the flight to New York City. Landing at La Guardia Airport was a surreal experience. The passengers all clapped when the plane landed, but then quietly filed out of the plane. The airport was almost deserted, even though it was a Friday afternoon in New York. We boarded the airplane for Seattle and there were only a dozen passengers on the entire 747 airplane. We could see smoke and haze over the city, and we prayed until the plane had been in the air for twenty minutes. I had several rows of seats all to myself, so I stretched out and tried to sleep. When awake, the polite flight attendants brought all the food and drinks I wanted. I made eye contact with them, and could tell which ones had been crying. We landed in Seattle, and I felt like kissing the ground. A few hours more, and I was back in Idaho. 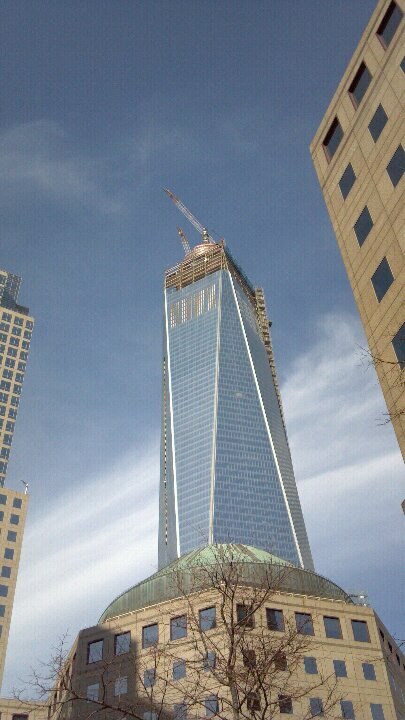 I’ve returned to New York several times since then, and two years ago I took a photo of the new tower under construction. The strength and beauty of the new design is a testament to the resilient spirit of the people who love this country. I continue my love of travel, my respect for the United States of America, and my distain for the godless cowards who slaughtered so many precious lives and destroyed valuable property 14 years ago. We will never forget. Wow, Elaine. I have goosebumps just reading this. My parents were on a cruise ship that day, so I can relate to how helpless your family felt with you overseas, and can only imagine how your lack of communication must have been unnerving. Thank you for sharing your story.